The cottages can be found in various counties around the UK and Ireland, with Inverness-Shire, Argyll, Wigtownshire, Ross-Shire, Powys, Cumbria, Staffordshire, Aberdeenshire, Norfolk, Devon, Worcestershire, Gloucestershire, Isle of Wight, Lincolnshire, Lancashire, Cornwall, North Yorkshire, Wexford, Ayrshire, Clwyd, Gwynedd, Dyfed, Durham, Sutherland and Avon all getting a mention. There is one holiday cottage to report on this week. And that cottage is: "Larchwood in Dukes Meadow, near Greystoke". Larchwood in Dukes Meadow, near Greystoke - Larchwood is a holiday lodge, located in a quiet location on the fringes of the Lake District. 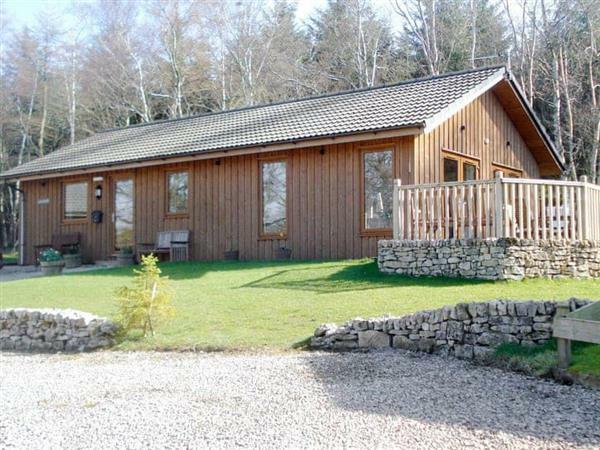 Larchwood in Dukes Meadow, near Greystoke sleeps 6 people.